San Antonio’s roadblock residency goes out with a bang. We may be boisterously storming through the closings with a very heavy week of music madness behind us, but the Defected In The House closing party was definitely marked on the clubbing calendars of all passionate house-heads, myself included. We made sure to save some steam for this one. It's been a season of great moments for Defected as it continued to bring people together through house music for a second smashing season at Eden. If you're looking for a night with bouncy vibes, anthemic tunes and the ultimate feel-good get down, you hit the jackpot. This past Sunday night, Defected made for the perfect end of the week jolly-up for what's been a sensational week on Ibiza. No defects whatsoever at this party and label-boss Simon Dunmore cooked up a storm for the closing party. Check out how these four key ingredients that made the Defected closing party so damn tasty. Tuck in. Despite stiff competition across the island, the outrageous beefy sound system, state-of-the-art lighting and the incredibly reasonable drinks prices of Defected at Eden make it a match made in heaven. 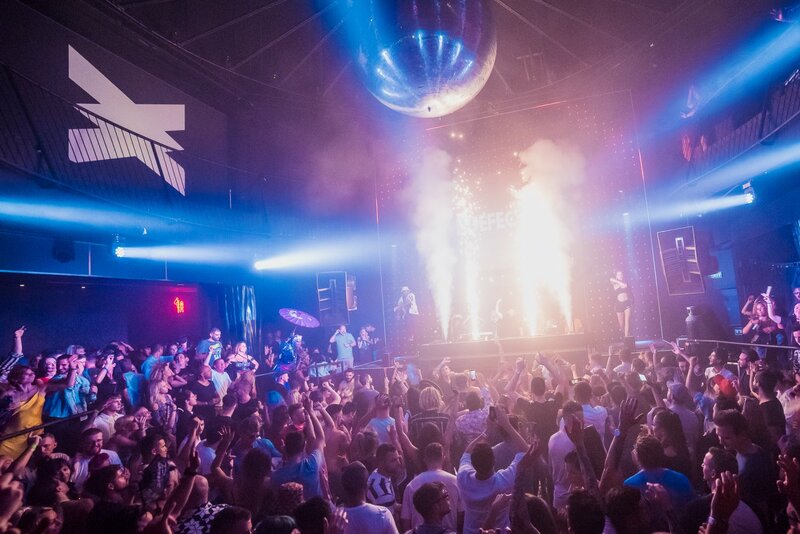 Defected stands at the heart of the San Antonio and indeed Ibiza clubbing scene. In the words of Simon Dunmore; “Our move to San Antonio has paid off. San An remains the gateway for many and these kids are our future. Making nightlife affordable in Ibiza is key.” Ibiza Spotlight preach! Popular also with residents and seasonal workers, many will agree that Sunday nights at Eden have been where it is at. Located a mere stone's throw away from where many party-goers are homed, this party guarantees that this place will be jam-packed with an abundance of familiar faces and the best place to party with newfound friends. This past Sunday was our final opportunity and meet up with all the last ones standing, the no-go-homers, and likeminded house fans. There was no stopping us. For the closing party, the line-up saw unforgettable headline sets from the driving forces of Defected for back-to-back appearances and heated house sets from start to finish. The vibe was electric from the off as we were treated to the sleazy G-house from Amine Edge & DANCE. Usually, the French duo hit the decks last, but having them on first smashing the dance floor with their high energy sets meant that the bar was set. The closing party meant business. Straight in at the deep end, we began to shuffle. It would not be a true Defected affair on Ibiza without the Mambo Brothers making an appearance. With the funky breakdancers up on the podiums and beats pumping from Todd Terry and Dennis Ferrer, we got a full feel one last time of what Defected is really about. Radio-hosts and essential Defected residents Danny Howard and Sam Divine provided fist pumping reactions with chart-toppers and sing-a-long bangers. Seeing the party into the early hours, none other than Simon Dunmore saw his successful residency end on a high. Defected is what it says on the tin: “House Music All Life Long.” Just pure feel-good house music with anticipated drops and catchy disco vocals we can all sing along to. Of course, there will be a handful of mainstream house hits predictable of appearance, but we all love them and a bit of Camelphat's Cola will always send any dance floor into a frenzy. A step away from the more intense hard-hitting techno, Defected is a party that everybody can enjoy. Here are a few stand out tracks from the evening. A funky little number dropped by Dennis Ferrer himself. This tune saw many booties shake and body pops through the mist of flashing strobe lights. Feel My Needs – Weiss During a set of deep and immersive tracks with heavy emotive vocals from Sam Divine, clubbers responded with glee when this tune of the summer dropped. FEEL MY NEEEEEDS. Absolutely divine. Can't Get Enough (vocal club mix) – Soulsearcher Bringing that bit of disco funk we all enjoy to Defected, this vocal remix had everybody clapping along. This tune is sure to put a smile on any clubber's face and we can't get enough. A funky masterpiece with an anticipating drop that cranked it up a notch and saw ravers get lost in the music. It had been a while since we heard Amine Edge & DANCE's Lost by Frank Ocean remix, but blasted on that superb VOID sound system near the end of a euphoric evening, this track never sounded so good. Defected brings the best vibes to the dancefloor with timeless feel-good tunes and an ego-free crowd all there for the same reason: to enjoy the music and live for the moment. The energy and enthusiasm of the evening were bouncing from behind the decks to every nook and cranny of the dance floor. Nobody was sitting around at this shindig. With tunes this good, everybody had their best dancing shoes on. With no pretention or techno-snobs, whether you're the worst dancer in the world or popping and locking like a member of Diversity, everybody was encouraging and shimmering. Under the disco ball, it was everybody's time to shine and let loose. “In our house we are all equal” - we sure felt that way. If you were of the lucky attendees, I bet you're still scrolling through your video log and shazam playlist wishing we could do it all over again. With another triumph season under its belt, we can't wait to see what Defected brings to Ibiza in 2019.